A trendsetter in watersports footwear. 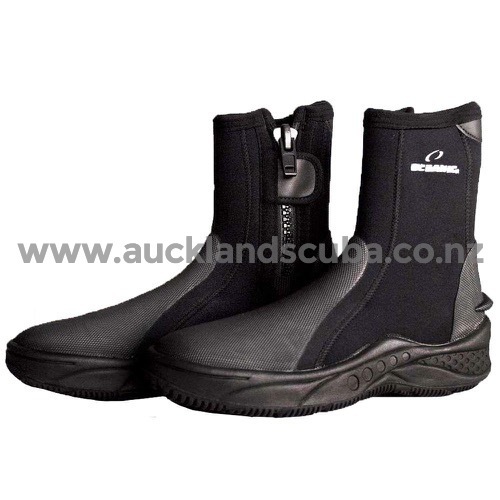 The Neo Classic boot features a heavy duty moulded sole designed to withstand the rigors of diving on rocky coastlines and provide unparalleled stability on sandy beaches and boat decks. Features moulded sole thick solid sole for rocks 6.5mm double glued and blind stitched for durability Velcro zipper flap to protect zipper and ensure it remains closed during a dive.